Workplace injuries occur at an alarmingly high rate across a range of industries. Those who work with hazardous materials, for example, are often at risk of suffering from burns and other health complications, while warehouse employees are particularly susceptible to back and neck injuries. When these types of accidents occur, injured parties can collect compensation for their losses by filing a workers’ compensation claim. As long as an employee was acting within the scope of employment at the time of the accident, he or she will be eligible to obtain temporary or permanent benefits, regardless of who was at fault for the accident. However, except in a few specific circumstances, these benefits cease as soon as a person returns to work. Workers’ compensation claims are usually the only remedy for workplace injuries, which means that injured employees cannot file a claim against their employer for damages. 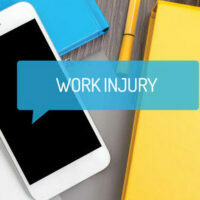 There is one exception to this general rule, however, that applies when an employee is injured by a third party while at work. In these cases, the injured worker, with the help of an experienced attorney, may be able to file a personal injury claim against the negligent third party. Although the workers’ compensation program is usually the sole remedy for plaintiffs who are injured in the workplace, there is an exception for those who are injured while at work as the result of a third party’s negligence. These situations arise most often in the construction industry, where many individual companies are retained to work on the same job site. For example, a standard construction project will require the services of a contractor, but also a number of subcontractors who are enlisted to build scaffolding, operate heavy machinery, pour concrete, and remove construction waste. When one of these companies or its employee causes an injury to another person working on the site, it can be held accountable in court. One of the most common scenarios involves injuries sustained by construction crews when the scaffolding on which they are working collapses. When this is the result of the scaffolding company’s failure to use proper materials or negligent construction, the injured worker may be able to collect medical benefits through the workers’ compensation program, while also seeking damages in a personal injury case. Filing these claims is often crucial to an injured employee’s recovery, as damages could cover not only past medical bills, but also future medical expenses, as well as compensation for the pain and suffering endured by the victim as a result of the accident. If you were injured at work in an accident that was caused by someone other than you or your employer, you may be eligible for compensation. Please contact Boone & Davis in Fort Lauderdale at 954-566-9919 to speak with an experienced member of our personal injury legal team about your own case. We are standing by and eager to address your personal injury-related questions and concerns.